ONI Bureau: —– Kitchen of ‘Ananta Basudev’ temple, Bhubaneswar gets burnt completely in the wee hours of the morning. —– Minor girl allegedly raped in forest near Bisra in Rourkela; accused absconding. —– Female candidate from Jangira village under Pandipada police limits in Keonjhar critical after physical test for police constable interview in the district. —– Odisha Govt begins probe into irregularities in Ravenshaw & Berhampur Varsities. —– Bajrang Dal also joined the Balangir Bandh called by Joint Action Committee demanding bypass road; extends to second day today. —– IAS officer Vinod Kumar, convicted in ORHDC scam, surrenders before special vigilance court in Bhubaneswar. —– Sheena Bora murder accused Indrani Mukerjea(in file pic) has filed bail plea in Special CBI Court in Mumbai. —– Rajiv Gandhi assassination case: Supreme Court takes into record the affidavit filed by the Central government which stated that the President had rejected the proposal to release seven convicts and adjourned the matter. —– Triple Talaq Bill to be tabled in Rajya Sabha today. BJP strategy meeting over Triple Talaq Bill underway in Parliament. —– Out of the six contestants from the Indian contingent, which participated in the Oman Sailing Championship, five have won medals. The team won three golds, a silver and a bronze. 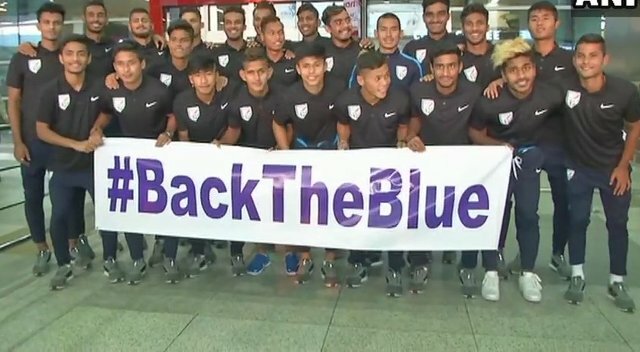 —– India national under-20 men’s football team that beat Argentina in the COTIF Cup in Spain on August 6 arrived at IGI Airport in Delhi early this morning.